Are You a Machining Guru? If you work in the machining field, you’ve probably got all the basics down pat. But what about the more nitty gritty details? Ever executed a fillet? Do you wear jewelry while surface grinding? What do you know about climb milling? Put your machining skills to the test with our quiz. 1. 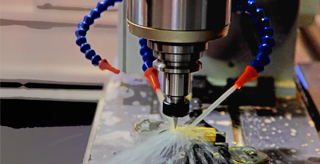 What does CNC stand for? 2. Machining that adds material rather than remove it is called what? 3. Grinding is the process of machining round parts on a lathe. 4. Which of these machines is used in the hole making process? 6. Surface grinder safety calls for _______________. 7. What is the process of enlarging an existing hole called? 8. In machining, what is a fillet? 9. Can wood or plastic be used on a milling machine? 10. Which of the following is considered a principle machining process?